Indianapolis - Fredrick Louis “Fred” Martin, 80, passed away Tuesday, January 15, 2019. He was born October 7, 1938 in Indianapolis, IN to the late Fred L. Martin and Anna E. Gaydos. He attended Decatur Central High School where he played high school football. Fred was an honorably discharged veteran of the United States Army where he served as a systic gunner and a driver. He also served in the Indiana National Guard where he drove a 106 Jeep. He was rated Expert with the M-14 Rifle and Marksman with the .45 Pistol. 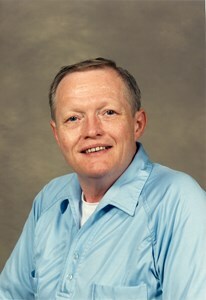 Fred was employed by AM General as a press operator for 23 years. Additionally, he was employed by Denison Parking at The Union Station in Indianapolis where he served in customer service for 18 years. In his early years, Fred enjoyed hunting. He also loved fishing and going on picnics and traveling to Kentucky for family reunions. He enjoyed building and fixing things. He enjoyed watching high school football and the Indianapolis Colts. He also loved watching westerns like Gunsmoke and John Wayne movies. While Fred had many interests, more than anything else, he enjoyed spending time with his family. Fred was preceded in death by his father, Fred L Martin; mother, Anna E. Martin Gaydos; grandmother, Goldie M, Wagner; step-mother, Margaret Martin; sister, Anna Holliday; and nephew, Carl Holliday. He is survived by his beloved wife of 49 years, Sylvia Martin; daughter, Stephanie Harris and her husband, Bryan; sons, Fredrick Martin, Jr. and David Martin and his wife, Subrena; brother, Raymond Martin and his wife, Tina; granddaughters, Klaudia Martin and Elizabeth Harris; grandson, Christopher Harris; nephews, Chris Holliday and Jason Holiday; and many other loving family members and friends. Fred’s family will receive friends Tuesday, January 22, 2019, from 4 – 8 p.m. at Newcomer Cremations, Funerals & receptions, 925 East Hanna Avenue, Indianapolis, IN 46227. A celebration of his life will be conducted Wednesday, January 23, 2019, at 11 a.m. at the funeral home. If you would like to share a memory of Fred, or a special message with his family, please click the “Share Memories” icon above. Add your memories to the guest book of Fredrick Martin. Dearest Sylvia ,I`m so sorry for you and your family's Lost .May the Lord give you comfort in the days ahead. Remember the Lord will not put more on your shoulders that you cannot bare. Praying for you my old Friend .Love Louise. I'm so sorry for your loss. Always in my thoughts and prayers!! Love you all. Please accept my sincere condolences on your loss Mr. Martin. Our thoughts always and prayers are forever. Melissa Coleman & Edward Tyler. My deepest sympathy and prayers of comfort for all of Fred's family. He had many accomplishments. I thank you for sharing his life with those not aware as myself. Rest in peace Fred as your family takes comfort in the WORD of God To be absent from the body is to be present with the Lord. Calling all prayer warriors, Please pray for Sylvia and all the Martin family. I would like to express my sincere condolences for your family's loss. Losing a loved one in death is one of the hardest things anyone has to go through. However, this is not something our loving God ever wanted us to experience. He promises that soon all sickness, pain, suffering, and even death will be done away with forever (Revelation 21:3,4). May this wonderful promise for the near future bring you great peace and comfort during this difficult time.